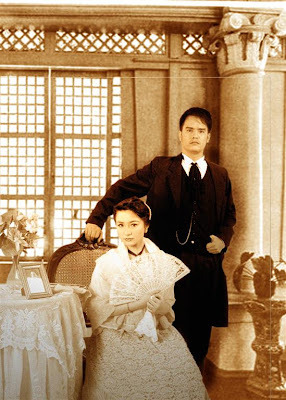 The second installment of Gantimpala Theater’s Four Classics, Kanser (Noli Me Tangere) penned by award-winning playwright Jomar Fleras, under the direction of Adriana Agcaoili, brings back on stage the life of the European educated Don Crisostomo Ibarra and his lady love Maria Clara, and the many interesting and intriguing characters of San Diego. 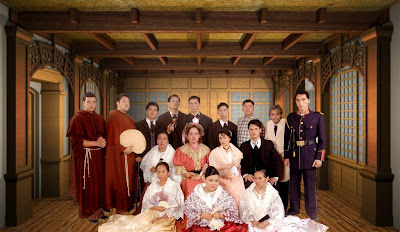 The cast includes Jao Mapa (Crisostomo Ibarra), Fame Flores and Meliza Reyes (alternately portraying Maria Clara), Jojo Rieguera (alternate for Ibarra/Padre Salvi/Padre Syubila), Manolet Concepcion (Padre Damaso), Dante Balois (Pilosopong Tasyo), Ed Murillo (Capitan Tiago), Xeno Alejandro (Elias), Meldea Flor Formacil (Sisa), Irra Cenina (Padre Salvi/Padre Sybila/alternate for Mang-aawit), April Anne Dolot and Agnes Ramos (alternately portraying Doña Victorina), Hazel Orencio (Doña Consolacion), Niesty Lopera (Don Tiburcio), Vangie Inocencio (Tiya Isabel), John Zyke Snatos (Basilio), John Dencel Galoso (Crispin), Molts Meneses (Teniente Guevarra/Tarcilo), and Von Arroyo (Mang-awit). Assisting director Agcaoili re-create the world of Crisostomo and Maria Clara are Jose Jeffrey Camañag (Associate Director), Andy Villareal (Lights Designer), Marianne Sedotes (Sets Designer), Albert Figueras (Costumes Designer), Darby Dizon (Choreographer), Jorge Cabullo (Production Manager), Wilmark Oliver Tabio (Stage Manager), and Tony Espejo (Artistic Director). Performances are on August 29 (6pm), Open Air Auditorium, Luneta, Manila; September 4, 5, 6, 11, 12, and 13 (10am/2pm), AFP Theater, Quezon City; and September 18, 19, 20 (10am/ 2pm), SM South Mall, Las Piñas City. Gantimpala Theater’s Kanser (Noli Me Tangere) is fully supported by the National Parks Development Committee. For inquiries, please call the Gantimpala Theater Marketing Office, look for Ms. Glenda Agravante at (632) 899-5745/ 896-3503/ 474-5198 or visit: www.gantimpalatheater.multiply.com.